Cross-sectional 2D image of upper mouth jaw. 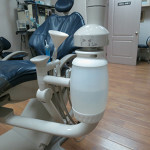 Led them to ‘play safe’ during dental surgery – allow greater safety distances from critical structures. carried a high radiographic dose. Thankfully, a new generation of low-radiation imaging devices is proliferating among US, Canada, and Mexico radiography service providers, providing high-quality x-ray imagery in a 3D format. The information these scanners capture is digital, so that it can be easily piped through the internet. This makes collaboration between dental specialists easier during oral surgery and full mouth restorations, so much so that the term ‘collaborative responsibility’ was coined by Dr Carl Misch to characterise the way he thought advanced implant dentistry should be handled in future. No sooner had CT scans become a mainstream than a bunch of brainy types started look at ways of compressing and manipulating CT data to produce a virtual, computerised model of the patients’ dental anatomies. All on 4 implant surgical planning using 3D CAT Scan software. create a preoperative surgical plan showing the exact sizes of the teeth implants he is using, and the precise angulation and position of each tooth implant position before the oral surgery. CAD/CAM reduces chair visits for oral surgery. We’ve seen how advanced imaging techniques can help at the diagnostic/consultation stage by allowing the dental surgeon to examine the key aspects of the patient’s anatomy without having him in his chair. But the same scanners are driving a CAD/CAM revolution in the mouth, shrinking multi-stage surgical procedures and bringing closer the Holy Grail of dental implant dentistry – a full set of replacement teeth in a day. Traditionally dental implant treatments have been forced to include several chair visits to allow implants to heal and integrate after the oral surgery, and for bridges and similar devices to be adjusted for fit. 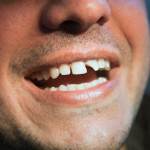 This is not so bad if your dentist is local, but a big consideration if he is in another country! 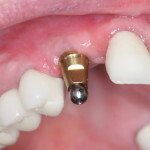 It was quickly seen that the greater predictability and accuracy provided by these new dental implant surgical techniques could only be realised if there were some way to transfer the dental surgeon’s plan from his computer screen to his patient’s mouth, it might be possible to eliminate one or more of these teeth restoration steps. Here’s where CAD CAM really enters the mouth! The dentist’s plan can be uploaded to a fabricator who uses rapid-prototyping to create a surgical drill-guide that fits precisely over the patient’s jaw anatomy. The oral surgeon in Mexico can thus put his virtual plan into effect with great accuracy, in a much-abbreviated surgical procedure. speeded up and improved the accuracy of surgery of oral surgery in Mexico. But we haven’t yet got any teeth – just a row of beautifully-placed implants to mount them on! CAD/CAM enters the mouth – AGAIN! 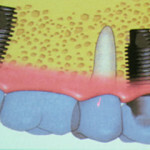 Traditionally, an impression has to be taken of the tops of the healed implants, and used to fabricate the replacement teeth – a lengthy procedure. But hold on just a moment! Didn’t we just see that the patient’s X-ray data could be used to create an accurate drill guide? So could it also be used to create the replacement teeth themselves, with all the pick-up points in the right place, ready to fit and – dare we hope – use? And that’s exactly what’s happening immediate loading implants. 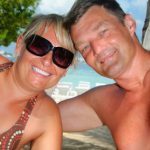 …eliminating much of the social discomfort and functional deprivation associated with extensive implant treatments. 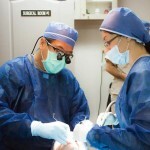 To discuss advanced oral surgery in Mexico for you or a loved one, contact Dayo Dental at 877-987-3296.